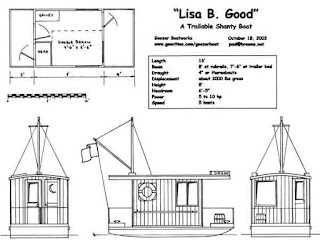 Many teardrop camper plans are available as free PDF downloads. Just about anybody with rudimentary skills and a good dose of common sense (and a lot of clamps) can build a teardrop camper trailer. Please note that most of these vintage plans are presented solely as a historical documents, and without revision. No recommendations or claims are made as to the safety, suitability or accuracy of these plans. It is best to contact the local roads and traffic authorities in the area in which you live. Vintage Teardrop Camper Project from the archives of Mechanix Illustrated. Build a camping trailer for two. 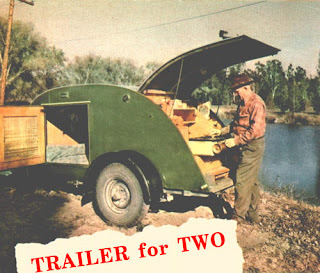 The Wild Goose camper trailer design from the April 1953 Popular Mechanics Magazine. The modern version is known as the Kampmaster. How Jason built a cheap camper trailer for about $500 using a Harbor Freight utility trailer. About as bare-bones as you can get, but it works, and it keeps you dry and warm. How to build a teardrop trailer in less than 3 weeks for about $1500. From Wikibooks with step by step instructions and work in progress photos. See how Jean-Rene Rodrigue built his homemade micro camper. Measures 11' 8" long and height is 6' 6". DIY camper trailer work in progress photos. How important it is to have an idea of how to build a camper trailer. Willing and able to give it a go, but need a little boost of confidence? Teardrops and Tiny Travel Trailers is a great place to start, but there is a warning - clicking on the link will change your life forever. Without doubt, this must be the most comprehensive source for teardrop camper plans. The first teardrop designs appeared in the 1930's and they became popular as more paved roads were being built. 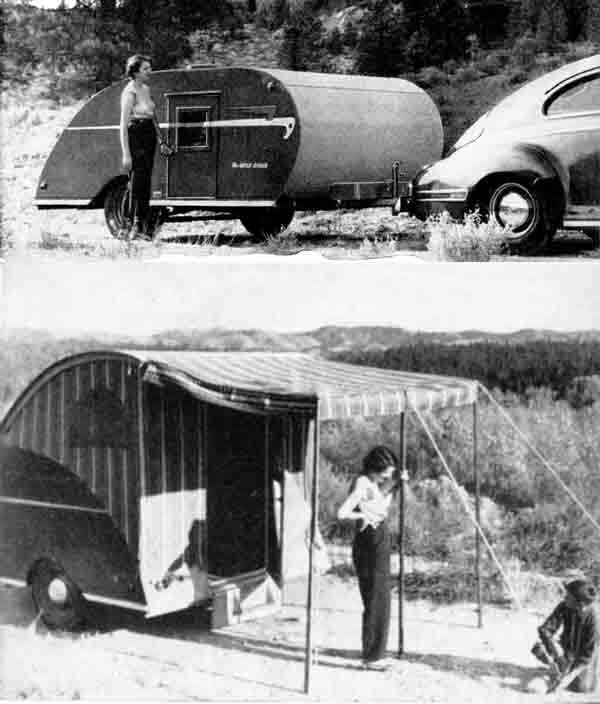 Magazines such as Popular Mechanics and Mechanix Illustrated published a range of do-it-yourself teardrop trailer plans, many of them forming the basis of modern teardrop designs. Today there is a strong following of teardrop camper trailer builders. Please note: These teardrop camper plans are for reference only. Please consult with your local authority for information on safety and road traffic regulations. Thinking of building your very own teardrop camper trailer? These are links to some of the many very active and helpful online discussion groups. Teardrop Campers - a group based in Australia, very helpful advice and tips. are different in each country. 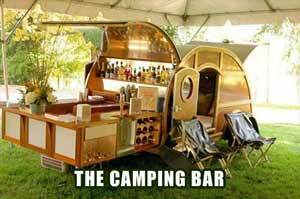 When it all becomes too much, simply park your camper under an awning and turn it into a bar. 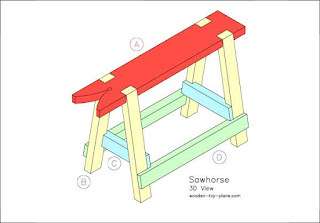 A collection of free sawhorse plans to download and print. want. If something is worth doing, it is worth doing well. wish we had when they are not available. have more functions than you could shake a stick at. Sturdy sawhorse design features half lap joints for extra strength. Free to download and print. PDF file size 320 Mb.